Niskayuna's grocery heart and soul -- for how much longer? 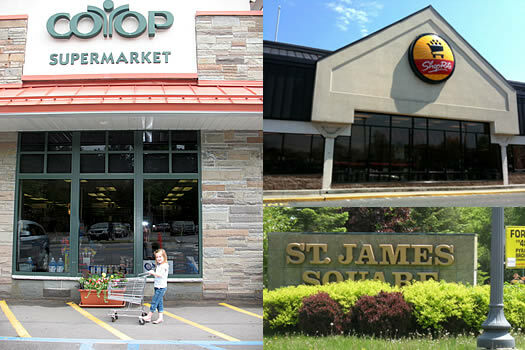 With the news that ShopRite is returning the Capital Region with a location at St. James Square in Niskayuna, the next thought many people seemed to have was: what about the Niskayuna Co-op? Almost everyone who shops the Niskayuna Co-op shops somewhere else, too. But the place is widely considered to be the area's grocery heart and soul -- and inspires a fierce, fervent loyalty among its shoppers. OK, so why? And now that a large supermarket is setting up just down the street, what now? Don Bisgrove, the co-op's general manager, thinks the loyalty comes from the co-op's community ownership, but others struggle to articulate what's behind their devotion. Says one patron of the store: "It has its own mystique." Another woman, who's been shopping there for 60 years ("since I was a little girl"), says that it's all about the personalized service -- if you ask for something, she says, they'll get it for you. Her friend, who has a 40-year-old co-op card, agrees: "You know everybody who works there." A 30-year-plus patron explains, "Why bother with therapy when you can go into the store and feel so much better?" She sees friends, but strangers, too, will strike up conversations about recipes and products. Newer members feel just as cozy. They gush about staff (Megan is "the sweetest cashier ever"), the realistic kid-sized grocery carts, and the general vibe: "I don't know why I like it so much, I just do." Beyond that je ne sais quoi, co-op members love that the meat is butchered on-site. "I know the people who butcher it, and the meat is clean," explains one lifelong member, who visibly shuddered at the idea of purchasing meat from strangers. Ground beef, for example, is ground on the premises instead of delivered from a processing facility, something any meat eater who's watched Food, Inc. can probably appreciate. The deli and prepared items are hugely popular, and people love to be able to make quick stops during the week and get prepared food easily. Folks also appreciate the products from about 120 local vendors, like Syracuse Soapworks soaps, Battenkill Valley Creamery milk, and Codino's pasta. Still, if the co-op can feel like a community reunion to many, occasional shoppers sometimes feel left out of the party. "They could be friendlier," one offered. Another explains, "There are regulars who shop there all the time and they are welcomed like long-lost family, but if they don't know you, they don't have to be nice." As a member and shopper myself, I've never seen the staff act rudely. But the same smile and hello that seems perfectly adequate at a supermarket can feel like a brush off when the cashier's asked after the health, or even air-kissed, the shoppers ahead of you in line. Saying that you're not a member of the Niskayuna Co-op is just slightly more socially acceptable than admitting that you don't pick up after your dog or that you feed your infant Kool-Aid in a BPA bottle. Locals who don't feel the love or would prefer an auto-checkout at Price Chopper are often loathe to admit it. Saying that you're not a member of the Niskayuna Co-op is just slightly more socially acceptable than admitting that you don't pick up after your dog or that you feed your infant Kool-Aid in a BPA bottle. One person complaining about unfriendliness concluded, "Please don't use my name. People will probably throw bricks through my windows." Others wish that inventory were more exclusively natural or organic foods, or they just want wider variety and cheaper prices. Prices vary from competitive to clearly more expensive: on a recent trip, organic carrots were a bargain at a dollar cheaper than the closest supermarkets, while milk, soap, and Lean Pockets all cost more. Even the co-op meat enthusiasts concede it can be pricey. But, as that longtime shopper who uses the co-op as therapy explains, "The other day, my husband came home with a $5 jar of bread-and-butter pickles," she rolls her eyes. "On the other hand, they tasted more like my mother's than any pickles I've ever bought." So, how will ShopRite affect the co-op? Don Bisgrove, the general manager, points out that they peacefully coexisted with Grand Union for years. A member who attends meetings predicts a drop-off in co-op shopping for a few months that will level off as curiosity wanes and the co-op adapts and learns from ShopRite's successes. The co-op's flexibility and independence are its great strengths, according to Bisgrove. Most agree with one member's sentiment: "Competition is a good thing, but people who go to the co-op will always go to the co-op." There's been a gaping, grocery-store-sized hole at St. James Square for most of the past decade. Grand Union closed in 2001, and a poorly-run Fresh Farms lasted a few months in 2004. So when Niskayuna residents heard about ShopRite moving in with a 20-year lease, most were glad that somebody's willing to move in. Residents describe St. James Square as "a dump" and "a ghost town" that's "just depressing." There's been a quiet revolving door of businesses that have opened, struggled, and failed over the years. Within walking and biking distance of well-established neighborhoods, the local high school, and some super-affluent new developments, St. James Square seems like an obvious investment opportunity to frustrated residents who are eager to spend their money close to home. 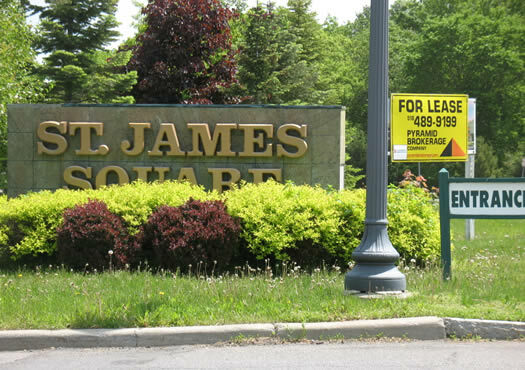 Many are bitter that St. James Square was ignored while the Ingersoll property, located near Mohawk Commons, was cleared of every last tree in 2009 to make way for new development that has been slow to arrive. Sensing mutiny, perhaps, the Niskayuna Planning Board subdivided St. James Square to encourage development of the grocery store space. Still, some residents continue to fume: "We need to start over with multiple stories that have residential space. There's no reason why this affluent community couldn't support a downtown like Saratoga Springs if the town would get their act together," argues one neighbor. So what do residents want to see filling up all that empty space at St. James? But when asked for their St. James Square wish list, the first response is usually wistfulness for opportunity lost. One resident fantasized about the kind of grocery store she would have liked, with more health and natural foods, a wide range of specialty items, and cooking classes. "ShopRite," she concludes woefully "doesn't fulfill any of these hopes." Many lament that ShopRite just isn't Trader Joe's. Katie is the editor of Capital District Fun, a site about things to do for kids and families in Schenectady, Albany, and Troy. She's also a Niskayuna resident. And we're pretty sure she'd never serve her kids Kool-Aid from a BPA bottle. Like the co-op! People are very helpful and friendly! Shopping at the co-op does save time vs wandering around in one of the mega-groceries. There are certain areas where they excel, such as the meat and deli, and others where they are not so good like drug store items, (that's what CVS is for). The co-op fills a niche, lowest price is not always the most important criterion in deciding where to shop. Sometimes you just need to save time, pick up an interesting local item or find a new quirky treat. Although I am looking forward to ShopRite coming to St. James Square, my shopping habits at the COOP won't change. I echo most of the reasons mentioned above. As far as what other business opportunites could continue to boost traffic at St. James Square, I was suprised that some type of office/school supply store was not mentioned. Also, for fun and entertainment a GREAT, independently owned book/coffee store. with a great vibe consisting of music, table games, small music stage, great atmosphere. I think the area is ripe for the picking for this kind of setting. I love the Niskayuna coop. I shopped there when I lived in Schdy many years ago, but then moved to Guilderland. Can't find the same great meats anywhere, and such a nice, unique selection. I make it a point to stop at the coop every Saturday, you just can't beat it. A little out of the way for me, but well worth it. There are many things you can't find elsewhere, that are found here. Their bakery items are terrific too, and I always check out their sales before I shop anywhere else.